One of its greatest attractions for me is the ever changing landscape, from the width and direction of the River Char to the dramatic cliff face that is continuously erupting and falling. This particular visit the river was exceptionally wide after heavy rainfall, however the torrent of water you might expect to empty into the sea at the river mouth, petered out and there was nothing more than a discreet trickle that managed to find its way through the gravel and assorted stones. Going to any beach out of season is also a bonus, the vast strip of land betwixt sea and cliff lays open and unspoilt by bodies, brollies and pop-up UVA tents. 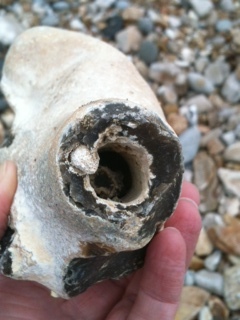 Other than a few dog walkers, fossil hunters and people like me, it’s finally free from the labours of summer. The sea, unlike the beach, is beholding to no one; it does what it likes when and indeed how it likes, hurtling into shore like a stampede of disturbed wild horses, smashing its way forwards, rushing up the beach until it can slam into the submissive cliff face. During its unashamed aqua hysterics it regularly throws up and out of the sea anything that takes its fancy. 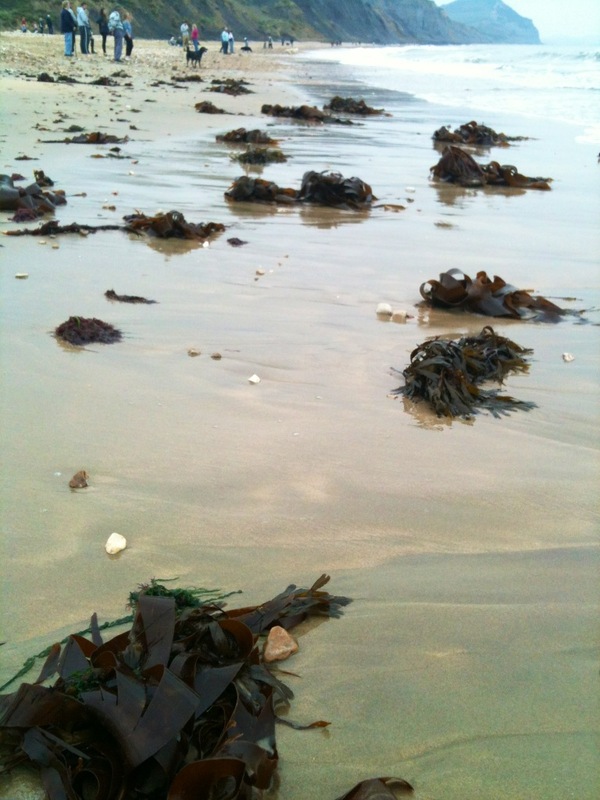 On this particular day it had cast huge locks of kelp during an obviously major hissy fit as there were rejected bodies of the smooth seaweed strewn along the shore, like shipwrecked bodies that had been floated inland. I could watch and listen to the sea for hours on end, the rushing whoosh as the waves race against each other, the popcorn popping sound as they drag the stones and shingle back with them on the return journey. 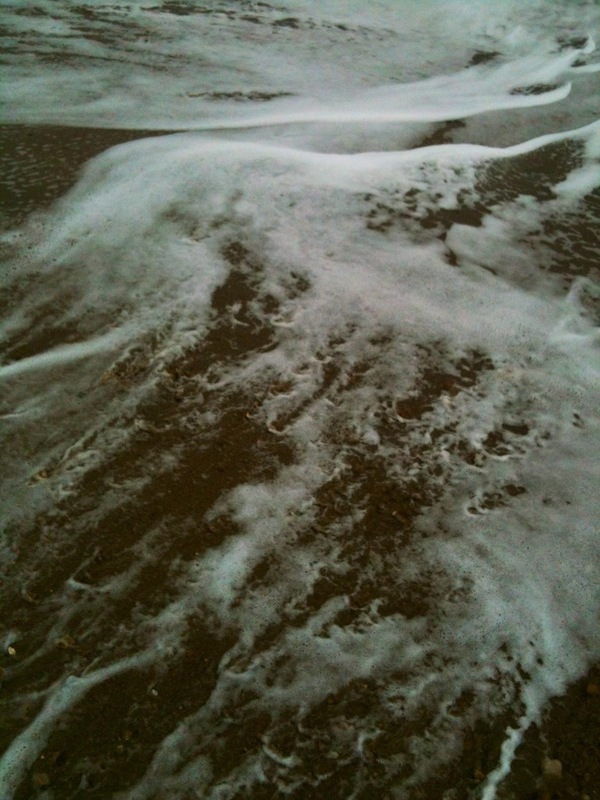 On this day, it was just as if the sea had dragged the clouds from the sky and turned them into salty sea froth that gave the shore an almost delicious milkshake appearance. Another thing I like about Charmouth is the different textures, from the softer more comfortable under foot & bottom sand to the larger stones and then the much bigger boulders. And there are always plenty of interesting treasures to find amongst them. 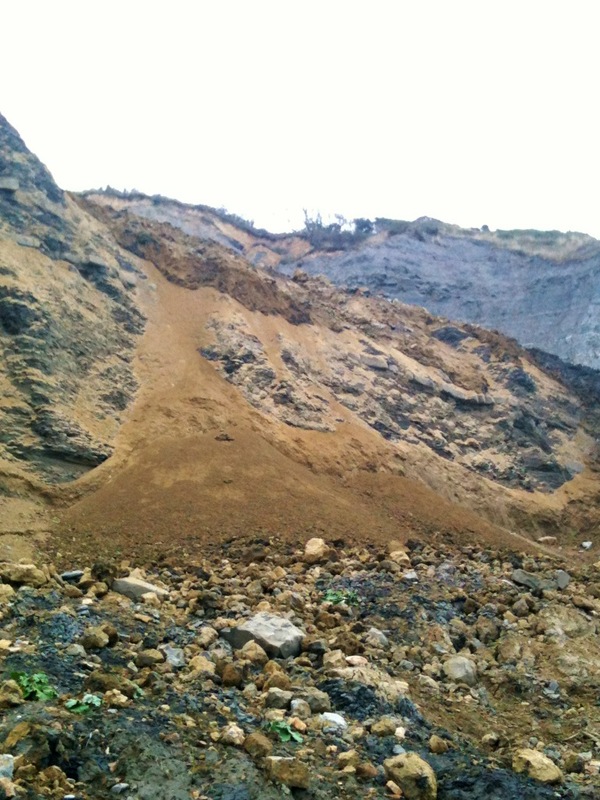 Then of course there are the cliffs; part of the South Coastal Path was completely washed away last year (2012 was one of the wettest years on record) and now the cliff graduates down to the shore, each level acting as natural barrier to hopefully protect the delicate cliff face from anymore sea smash & grabs. 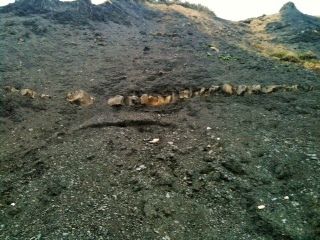 This is known as ‘natural erosion’ and it seems to work, allowing for the fact that the south coast is shrinking! 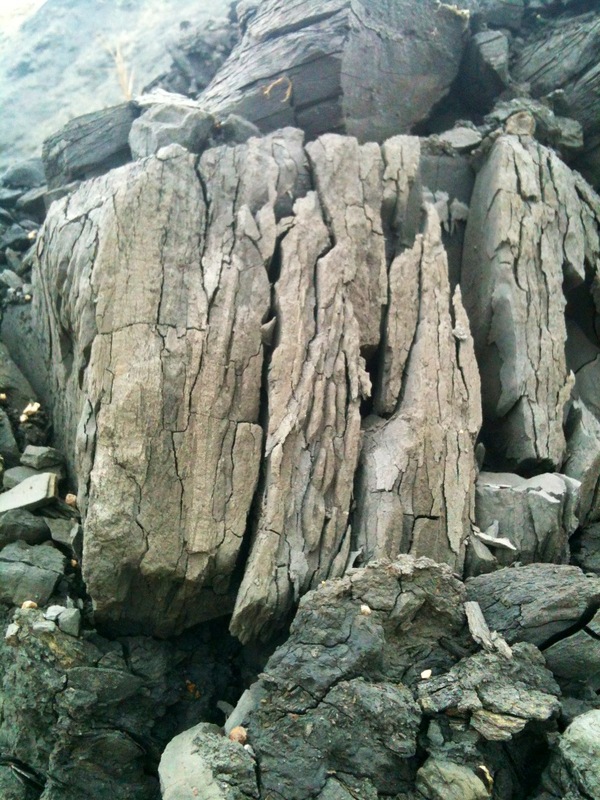 But with the cliff fall comes a treasure trove of interesting features from horizontal beds of slate to long stone spines and grey pillars stand like the ruins of an ancient civilisation. All along the beach are tell-tale signs that the coast continues to evolve with the smallest of streams trickling down the hill. You can see where they start at the top as it gauges out the most convenient route. Nature is at work. 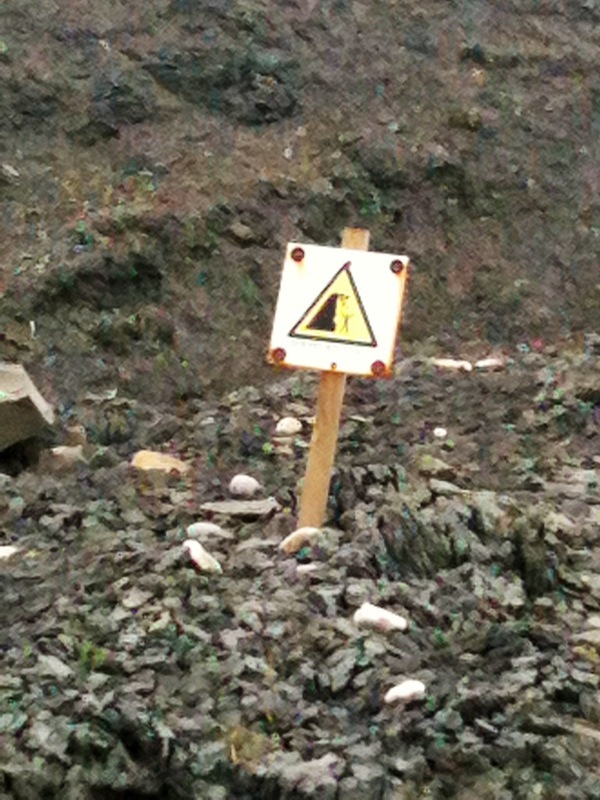 For those people who are particularly daft and lack any common sense, there are plenty of warning signs but I have yet to visit Charmouth without seeing at least one or two people walking up the mud flats to reach the bare cliff. There are some people who you simply cannot help, until of course they get stuck and then they have to be helped at great expense and danger to others, by various rescue teams. 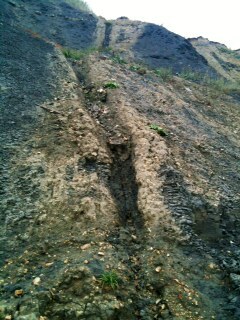 Another feature is the river of sand that flows in just the same way as the water that is trickling down the hill. 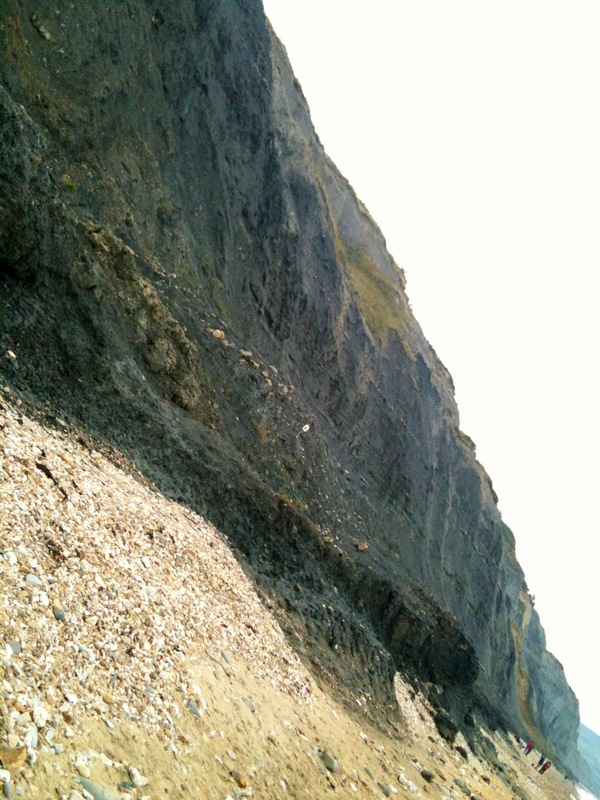 You don’t have to stand for long before you see and hear handfuls of desiccated cliff shimmying down to the shore. I also love the flotsam & jetsam, from sea & sand whittled sticks that look like a giraffe’s neck to seaweed that looks like a set of very small lungs, or a stone that has been burrowed out ready to welcome a wandering guest. 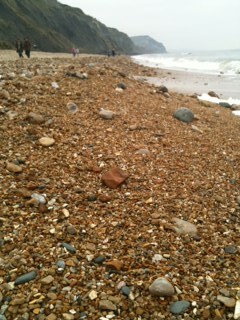 Yes, I’m pretty sure Charmouth is my favourite beach, although of course there is also Lyme Regis, Burton Bradstock……. 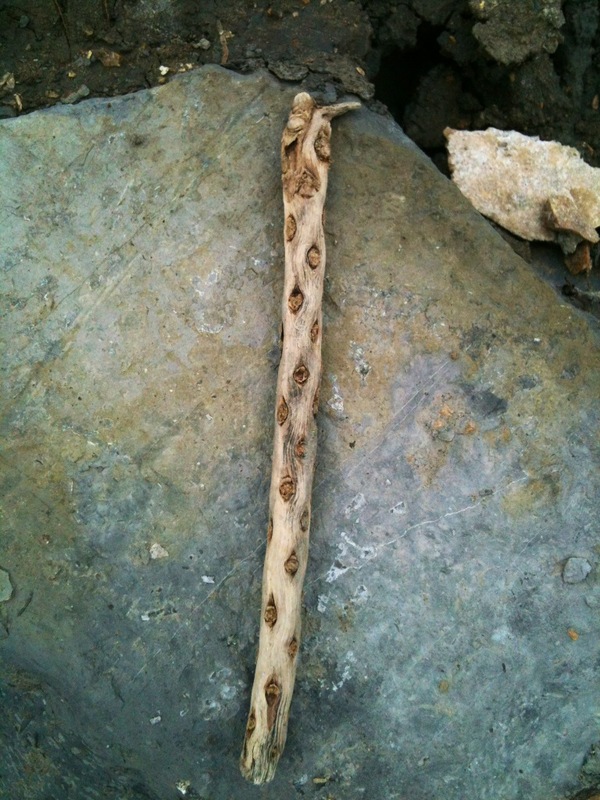 This entry was posted in Family Days Out and tagged beach, Charmouth, cliff, coastal path, Dorset, flotsam, fossil, jetsam, Jurassic coast, river, River Char, sand, sea, seaweed, south coast, stones, walk. Bookmark the permalink. 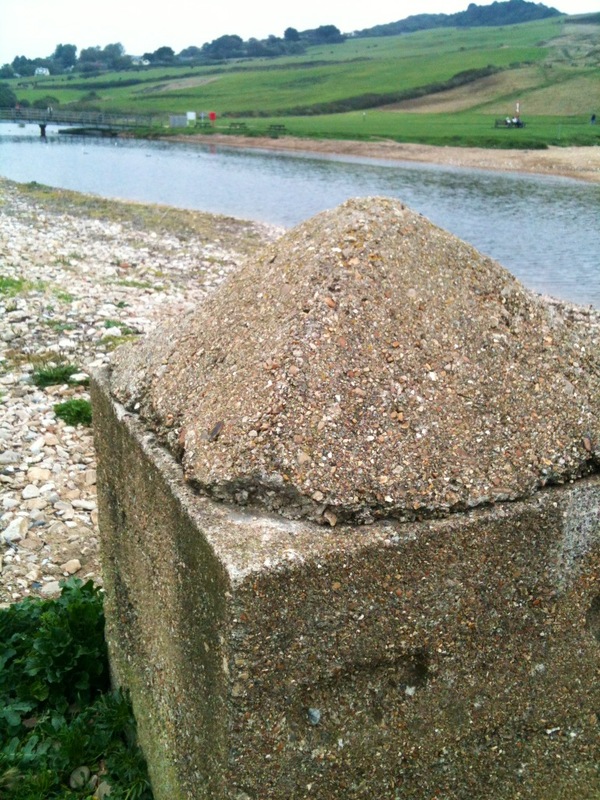 It’s been some time — decades, in fact — since I last visited Charmouth, but this piece evoked a sense of place very well. 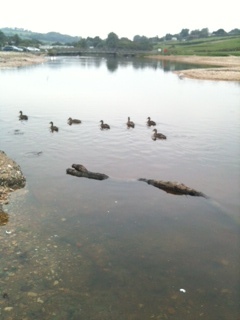 We’ve tended to head for Lyme or Seaton, but Charmouth must be a option next time we’re in Dorset! At the moment I’m finishing off Moonfleet, set much further east — I’ve fond memories of taking my son camping by Chesil Beach when he was very young, so the novel’s action is very vivid for me. I’m so pleased it brought back some happy memories, I hope you do manage to visit the next time you are in Dorset. Moonfleet? Not read it, I shall add it to my list.